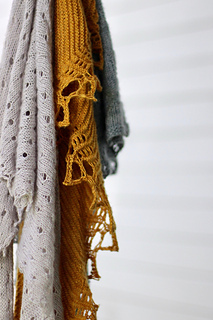 The 3 patterns were released one at a time over 3 weeks and we began our journey with a slither of glorious flame gold. 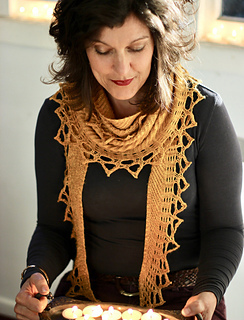 Knitted in one piece from corner to corner Flicker is a stunning, lightweight shawl edged with lace, evoking the magical glow cast by dancing flames. The long, narrow crescent-shape wraps twice around your neck and shines like a piece of striking jewellery. 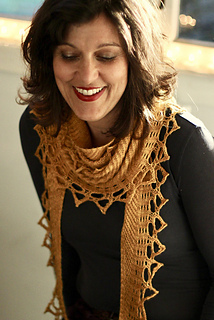 Flicker’s lace is deceptively simple and knitted at the same time as the shaped garter body. 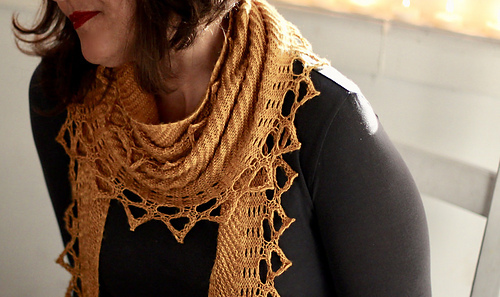 The pattern includes a clear explanation on how to make adjustments for a longer or shorter shawl and easily accommodates different skein lengths. 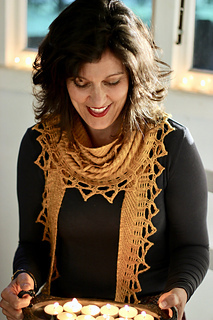 With written & charted instructions, Flicker is perfect for experienced knitters and adventurous beginners looking for a special, one skein project.